Tanabe leads Denso's sales team in Italy. Denso has appointed new sales managers at three of its seven regional offices in Europe. Kenichi Tanabe, a Japanese national, is the new head of Densos sales unit in Italy. Yoshio Kano, also Japanese, will head the companys sales team in France. Philip de Wolf, a UK national, takes over Denso sales in Sweden. During more than 30 years with Denso, Tanabe has held positions in Japan, Germany, France and the UK. He succeeds Naoshi Uno, who moves to Japan as a senior sales manager. Kano has been with Denso since 1987 and last worked for the companys sales team in Sweden. 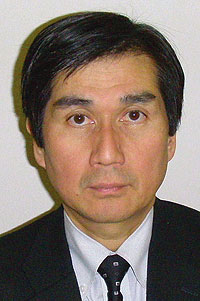 He replaces Kenji Ogasawara, who is now chief planner in the Toyota sales department at Denso Japan. De Wolf was executive general manager of sales for Denso in the UK. He brings more than 20 years of Denso experience to Gothenburg. De Wolf takes over for Terumasa Takada, who will remain in Sweden to make sure there is a smooth transition.